One of the myths surrounding cloud computing is that you lose control of your data when it’s stored in the cloud. In fact, the opposite is true. When information is stored in Google Apps, administrators have access to management tools that give them the visibility and control they need without having to manage IT infrastructure. The Google Apps control panel offers a host of management tools, and over the past year alone we’ve added capabilities that let administrators manage multiple domains,configure specific administrative roles, and set user policies, to name a few (a complete list is here). To save administrators time and make it easier for them to find reports, we’ve also moved the reporting section (including the audit log) to the top-level of the Control Panel. This section is now immediately visible within the Control Panel. 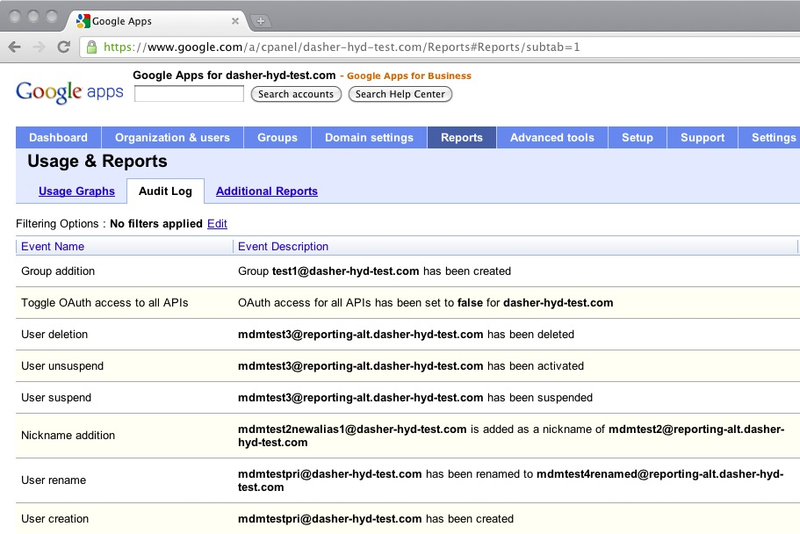 These reports are available today to users of Google Apps for Business, Education and Government. 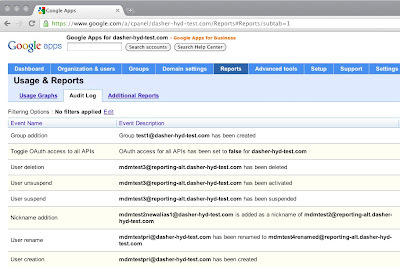 Together with other Google Apps APIs these tools give administrators the visibility and control they need to effectively manage their Google Apps instances.